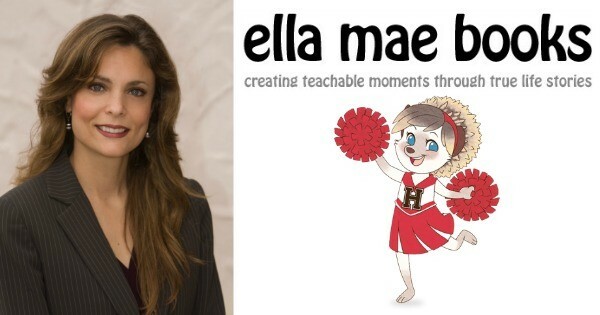 Today's guests on the show is Stephanie Cameron author of Ella Mae: The Courageous Cheerleader. We talk a lot about what it takes to get over the fears of putting yourself out there, and how beneficial it can be not only for yourself but for the others you will be helping as well. Stephanie has done a lot of research on the book publishing process and gives us her advice and tips on deciding witch one would be best for you. You will hear advice on the Traditional publishing route, Self Publishing and some great companies to work with and now another Hybrid style of publishing that really takes the best of both worlds and mixes them together. Bullying and Cyber Bullying are real issues that needs to be addressed and fast, it will take the efforts of courageous people like Stephanie telling her story and everyone working together to get the word out to really make an impact. As a parent, I am thankful that I am now aware of how real this issue is, even at a very young age for our children and Ella Mae offers a way for us to open up that conversation with our children and loved ones. There is way to much great information on bullying and book publishing to list here so check out the episode if you have not already ! There is often a Higher Reason for Our Struggles !